Second release of January is upon us. With it, we’re shipping mostly improvements and fixes while in the background working on bigger things that are to come. One of the most important points of this release is that this is the last BETA release for Gecko theme. Next one will officially be a stable one. This release comes with small new features. After the merge of the 4 plugins into PeepSo itself, we’re adding a possibility to disable Hashtags and Reactions functionality. You’ll find those settings in the backend > PeepSo > Configuration > Hashtags and disable Hashtags. For reactions go to the backend > PeepSo > Manage > Reactions and disable all custom reactions except for the ‘Like’. BlogPosts integration that’s also been merged into PeepSo got an improvement in a form of inability of deleting BlogPosts stream items when Comment Integration is enabled. We’ve also added a better logic for the Postbox media handling so that it’s all unified across the board. There’s also a number of fixes that were added to PeepSo. There was a problem with viewing and editing of Pinned Posts, that’s been handled. We’ve also made sure that comment permalinks work fine when comments are hidden. You can see a full changelog here. This is the last BETA release. We’re running out of bugs to fix. Which is great news on its own. With 2.1.1.0 release of Gecko theme, we’re adding a new widget position called: Header Search. You can add your own widgets there, should you wish to. On the improvements front we’ve made sure text formatting on blog posts and pages is handled better. We’ve improved the search results page as well as default WordPress search on header. Handling of WooCommerce pages was also improved and that’s our second out of three stage development. That plus few other fixes was added to this release. You can see the full changelog here. This is the last beta release of Gecko Theme. With that in mind, the next release will officially be a stable one. With THAT in mind, it’s your last chance to get the theme 50% off for the first year. Thank you to everyone who supported Gecko from the get go… get it? 🙂 But in all seriousness, we wouldn’t be able to do it without you. If you find any issues with Gecko or have any suggestions, please DO CONTACT US about it all, that way we can provide you with the best possible product. Gecko is in a BETA. The last BETA. Because it’s a beta release and because love to give back, plus we’d like to hear your feedback, Gecko prices are slashed 50% for the first year. Below you can see regular pricing for the theme. Be sure to use the promo code marked nicely in red just under pricing to get the 50% discount. The discount EXPIRES once Gecko is released as a stable product. Which means the next release. On checkout please use the promo code: gecko50 to get 50% off of the Gecko’s price. Of course, an active license gives you access to: downloads, updates, upgrades and technical support. After the license expires, you can keep using the theme indefinitely, but access to downloads, updates, upgrades or technical support won’t be available. If you feel you need more than 100 Sites License, contact us. 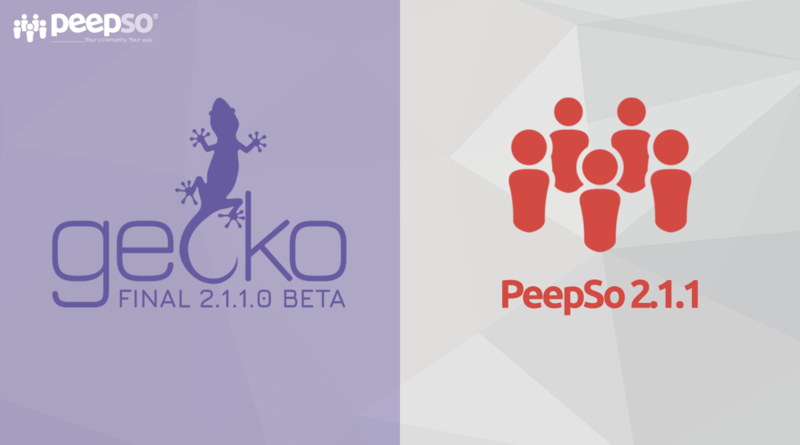 Join us to discuss PeepSo's features, connect with the development team and give suggestions. When it come the next release.?? we our business must stop first because there’s a WordCamp somewhere coool. Get PeepSo Ultimate Bundle for Just $199! 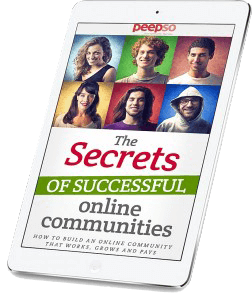 PeepSo is a super-light, free, social network plugin for WordPress that allows you to quickly and effortlessly add a social network or an online community, similar to Facebook right inside your WordPress site.